Rachel is a public law/professional regulatory lawyer with many years of experience advising various regulatory clients and acting for those who are regulated. 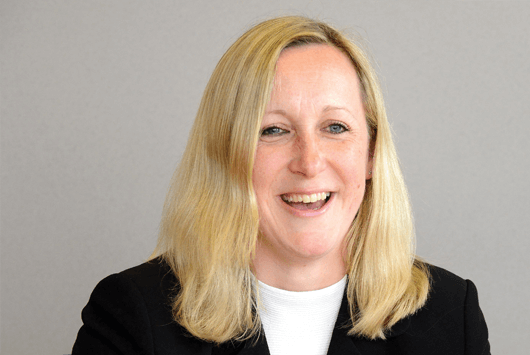 She has broad experience spanning the regulation of healthcare, childcare, social care and the legal professions and has been an in-house solicitor at the General Medical Council. Rachel has also dealt with areas such as regulation of private security. Rachel has acted for the national regulator for childcare settings for a number of years and now uses her expertise in early years regulation to act for those who are regulated by Ofsted. Rachel has acted on behalf of the Bar Standards Board and Costs Lawyer Standards Board. Rachel has significant experience in the delivery of fitness to practise investigations on behalf of regulators. She has also acted for those facing investigation or enforcement action by regulators. Rachel is a solicitor-advocate. She has presented numerous cases before various committees of the General Medical Council, Nursing and Midwifery Council and General Social Care Council and also the Health, Education and Social Care Chamber of the First-tier Tribunal. These are often contested hearings lasting a number of days. She has successfully defended subsequent appeals to the Upper Tribunal. She can deal with interim orders and substantive hearings. Rachel deals with High Court and First-tier Tribunal (Health, Education and Social Care Chamber) Appeals and Judicial Review matters. She has worked with five of the nine healthcare regulators in the UK, and has acted for the Professional Standards Authority in relation to Section 29 appeals. Rachel is sought out to advise regulators and those who are regulated in relation to a range of regulatory issues. Having worked in-house for the General Medical Council she has an excellent insight into the issues facing a regulator and works with her client to ensure that its decisions are robust. She can bring that insight to the advisory work that she does for those who are regulated. Helping a regulator to work though a significant number of cases where ratings reviews had been requested. Rachel handles private prosecutions for regulators and has prosecuted on behalf of the General Dental Council and the Security Industry Authority. Rachel has carried out detailed case outcome audits for regulatory clients. Her experience in audit means that she works with her individual clients on action plans to ensure that are regulatory compliant. The sun shone and sausages sizzled at Ward Hadaway's recent fundraising BBQ in aid of The Booth Centre in Manchester. How can a ‘good’ nursery become ‘outstanding’ in the eyes of Ofsted? "I would like to thank you personally and Ward Hadaway as a company. The service I received was certainly the best out of any legal company I have ever used.....I was so impressed with your dedication, hard work and straight talking which helped us to make our decision in this very difficult case."